Home > My Babies > Charlie Bastian > Happy 16 Months Charlie Bastian! 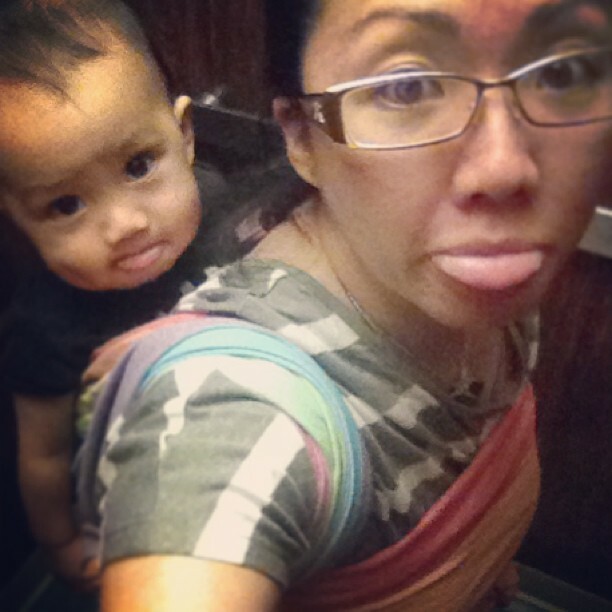 This is one of our more successful attempts at a back carry using a woven wrap by Little Frog. I’m getting there.